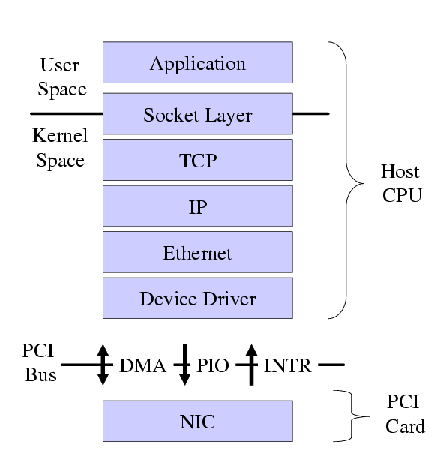 Paxym Inc. provides a complete Network Protocol Stack for inclusion in Bare-Metal software on Multicore CPUs. The Network Protocol stack allows quick development and deployment of network packet processing software and complex state based protocols at extremely high performance rates.
. Supports MIPS64 (OCTEON and XLR/XLP processors.
. Supports Ethernet, VLAN, ARP, ICMP, IPv4, UDP, TCP, RTP, RTCP.
. Supports Simple-Exec applications on OCTEON CPUs.
. Supports Bare-Metal applications on XLR and XLP CPUs.
. Rigorous testing and verification using automated test library. Please contact at sales @ paxym.com for further information. Custom Kernel/Application Software development services are also available. Maintenance and Support contracts are available. No Royalty, Unlimited binary distribution for specific business unit.